The NGAMN Executive Board has voted to continue the annual award of one (1) $1000 McGough-sponsored scholarship and two (2) $500 NGAMN-sponsored scholarships in 2014. This policy letter will serve as the authorizing document for the identification, selection, and awarding of the scholarship. This letter will establish minimum guidelines for qualifying applicants and timelines for submission of packets. The following are approved categories of eligible applicants for the scholarship. 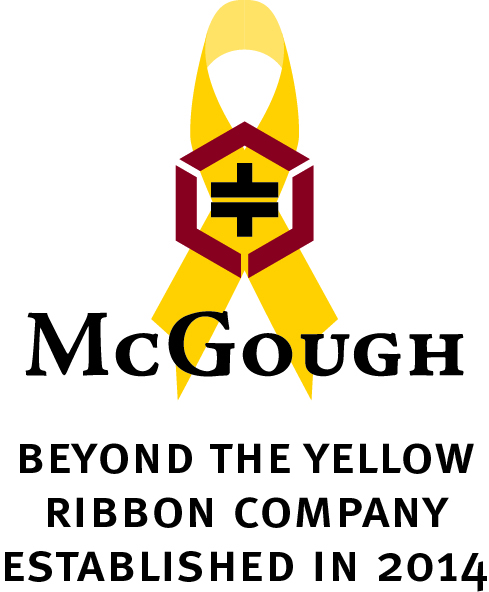 The top winner (any category) will be awarded the $1000 McGough scholarship. The runner-up from the active member/ retired/alumni life member category will be awarded a $500 scholarship. d. The runner-up from the spouse/child/grandchild of active member/ retired/alumni life member category will be awarded a $500 scholarship. The following minimum qualifications must be met to be eligible to receive the NGAMN Academic scholarships. The applicant must be currently attending an accredited institution of higher learning and pursuing a program that will lead to a 4 year Bachelors Degree, Graduate Degree, or Post Graduate Degree. High School seniors can apply and must have an acceptance letter to attend college for Fall classes 2019 to a school as stated previously. The applicant must have a minimum of a 2.75 cumulative GPA to be eligible. The applicant must be going to school at least 50% time (6 semester credits/ hours) each semester during the past 2 semesters, and (3 semester credits/hours) for a graduate degree. High School seniors can apply and must hold an acceptance letter to attend college for Fall classes for 2019 at time of scholarship deadline. The following documents must be provided to NGAMN Executive Board on the annual due date. A copy of the applicant's transcripts from the institution that the applicant is attending. Copies of transcripts are acceptable; it is not necessary to provide "official" transcripts. Typewritten essay by applicant (minimum one, maximum 2 pages, double spaced, 1" margin all around) addressing what the selected Army / Air Force Value for that year means to them personally and professionally. A resume or Biographical Summary for the applicant. The following submission timelines are in effect. Each year submissions are required to be turned in to NGAMN Executive Board no later than 30 June. During the scheduled Executive Board meeting in July each year, the entries will be reviewed and voted on, and the recipients will be invited to the August Executive Board meeting for the awarding of the scholarships. The $1000 and 2x $500.00 annual scholarship awards will be paid directly to the applicant for use to offset the costs of pursuing a degree. All decisions by the NGAMN Executive Board are final. The voting members of the NGAMN Executive Board are the President, VP Army, and VP Air. Alternate voting members are (in order) Secretary and Treasurer. Each of the Army / Air Force Values has been assigned a year for the essay topic. Recipients of a NGAMN scholarship are not eligible to submit an application again for a minimum of three years.